This September, the Dayinsure cycle team are taking on the huge challenge of cycling from London to Paris in aid of The Joshua Tree. In preparation for their 3-day journey, we’ve asked them to answer a few questions to get to know them a little better, this week, we talk to our Test Team Manager, Peter. What’s your role at Dayinsure? I am Test Manager at Dayinsure, helping to improve the quality, reliability and performance of our products. I can feel static energy from 250 yards away and can sense anyone around me within a 400ft radius. It could just be extreme paranoia, but every time I turn around thinking someone is there, they are. It is almost impossible to jump-scare me. I can smell colour and taste energy. I can shrug off a lot of criticism, verbal abuse, and negative comments. Just don’t be there when I finally snap. What made you want to take part in the London to Paris cycle for the Joshua Tree? I’m already a keen cyclist and got chatting with a guy who was training for their own charity trip there. 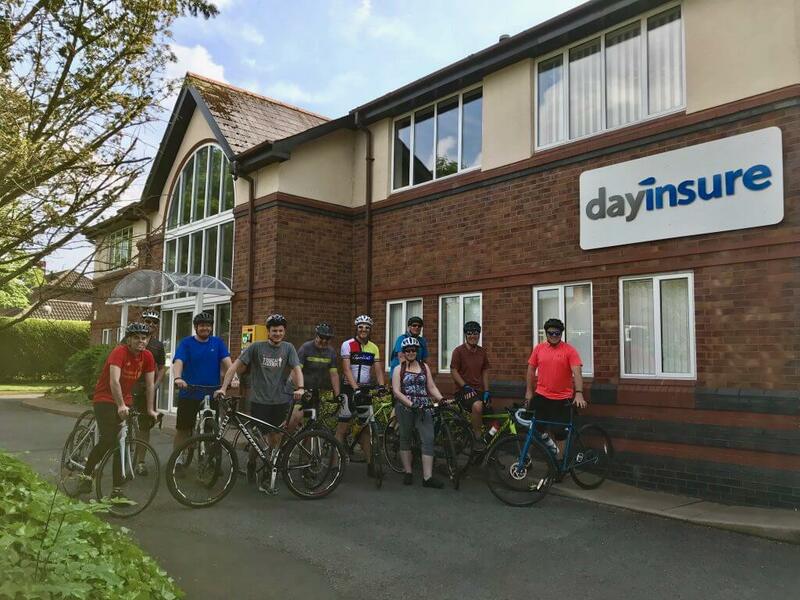 I fancied doing a multi-day trip myself, and the opportunity to do that as part of the Dayinsure team, whilst supporting such a wonderful charity has been fantastic. Had you had much experience with cycling before you joined the team? 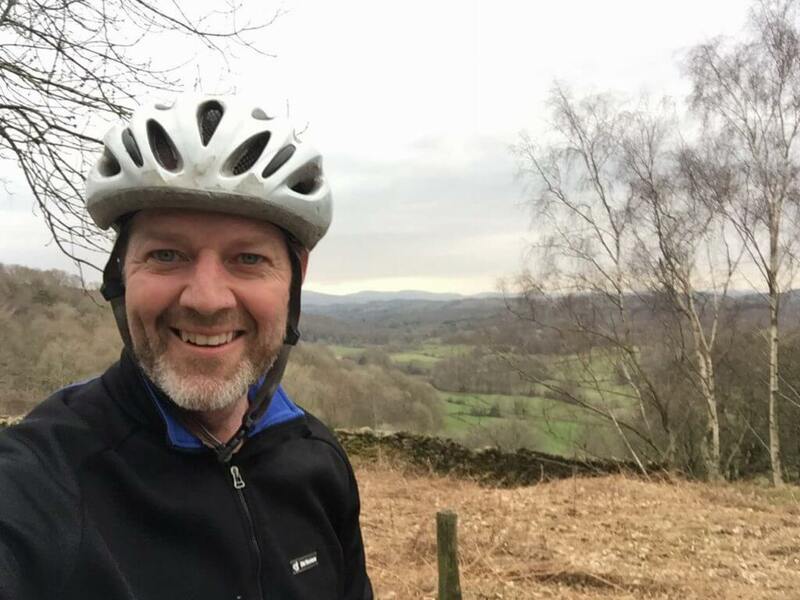 I have cycled on-and-off for the last 10 years or so, but after joining Dayinsure a couple of years ago and commuting by bike to work each day, I have bitten the bug, upped the mileage and partake in the odd 100-mile ride now and again. How are you preparing for the 188 mile journey from London to Paris? As keen cyclists already, both Ant and I actually decided to up the ante and ride to Paris from the office in Tarporley, Cheshire (approx. 400 miles). We’ll be riding to London over 2 days, before joining with the rest of the team for the leg to Paris. The best preparation has been doing the training rides with the ‘newbies’ and seeing the improvements in fitness and abilities of everyone. What’s your favourite cycle route? There are plenty of local routes around me that I enjoy, whether flat or with rolling hills. If I fancy something more epic I head into the hills of North Wales. But any route that includes a pint or a slice of cake would count as a favourite! What’s your most embarrassing moment on the training sessions so far? Ooh, I’m not sure about that…I’ve managed to stay upright. I guess the biggest issues we’ve had so far in the training rides I’ve organised is losing certain people en-route, resulting in me frantically cycling back from where we’ve come trying to find them! What are you most excited for about the cycle challenge? Getting a glimpse of the Eiffel Tower for the first time, as that should mean we have all got around and made it to Paris safely! What’s your top tip for someone wanting to get into cycling? Just get on your bike and go! Most people can quickly get to quiet roads/lanes/paths and you don’t have to be super-fit to cycle and you don’t need to wear figure-hugging lycra. Simply fill up your lungs with fresh air and fill up your senses! Interested in sponsoring Pete and the team on their 3-day cycle from London to Paris? Visit Peter’s Justgiving page to donate or find out more about The Joshua Tree and the incredible work they do.